An "Oasis" in the sky! Amazing Views From Pikes Peak to Longs Peak! Very Spacious,Light and Open Floor Plan. Rare Opportunity to Own this Sq. 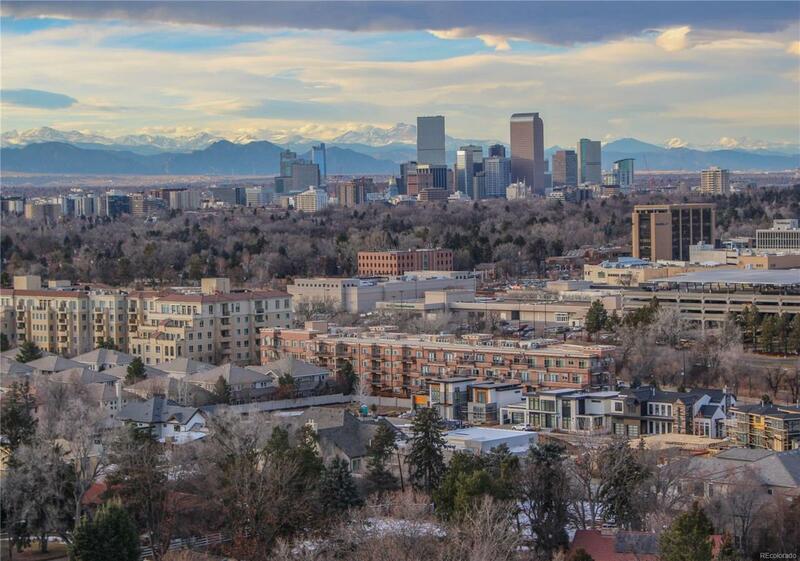 Ft. in the Heart of Cherry Creek without the Million Dollar Price! So Many Extras and Upgrades, Newly Refinished Hrdwd. Floors Throughout,Elfa Built In Storage Systems,2 Spacious Bedrooms & 2 Bathrooms With Huge Walk in Closets,Bonus/Flex Space Ideal For Home Office or Formal Dining,Fireplace,Patio/Balcony to enjoy the "Breathtaking" Views and Much More! Terrific Building with Many Amenities,One Reserved Parking Space in The Garage and Storage. Fantastic Location, Steps to Cherry Creek, Minutes To Downtown,Washington Park and So Much More!